SportsLine's advanced computer model simulated Warriors vs. Spurs 10,000 times. 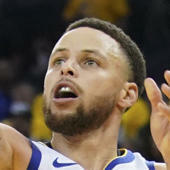 Stephen Curry and the Golden State Warriors will look to put at little more distance between themselves and the second place Denver Nuggets tonight as they travel to San Antonio to take on DeMar DeRozan and the Spurs. They are expecting Kevin Durant (ankle) to return for tonight's game after missing the past two, while big man DeMarcus Cousins has been ruled ankle injury. San Antonio heads into this one fully healthy and on the back of an NBA-best eight game winning streak. Tipoff for this one is set for 8:00 p.m. ET from the AT&T Center. Sportsbooks list the Warriors as 2.5-point road favorites, while the over-under, or total number of points Vegas thinks will be scored, is 226 in the latest Warriors vs. Spurs odds. Before you make any Warriors vs. Spurs picks, check out the NBA predictions from SportsLine's advanced computer model. Now it has locked in on Warriors vs. Spurs. We can tell you it's leaning under, and it also says one side of the spread hits in well over 50 percent of simulations. You can only see that selection at SportsLine. The model is well aware of how just how little home court has affected the Warriors this season. They boast an NBA best 23-11 record when playing away from Oracle Arena, and their past three road games have yielded wins over some of the NBA's best. They've collected wins in Philadelphia, Houston, and Oklahoma City in that time, so don't expect them to be bothered by the San Antonio crowd tonight. The x-factor in tonight's matchup could actually end up being Klay Thompson, who is scorching hot heading into this one. In four games over the past 10 days, Thompson is averaging 30 points on 48 percent shooting from 3-point territory. He's helped Golden State secure those tough road wins, even without Durant in the lineup. With KD expected back tonight, and Klay and Curry bombing threes the way they have been lately, Golden State's offense is going to be a lot for a San Antonio team ranked 20th in defensive efficiency to handle. Just because Golden State is the better team on paper doesn't mean it is a lock to cover the Warriors vs. Spurs spread, however. The model is also aware that Golden State has been one of Vegas' most overvalued teams this year. The Warriors rank second-to-last in cover rate (41.8 percent), which falls to 40 percent when they are favored. San Antonio, meanwhile, has the NBA's fifth highest cover rate at 55.7 percent. San Antonio also has been virtually unbeatable at home lately. You'd have to search all the way back to Jan. 19 for San Antonio's last home loss. A big reason for San Antonio's dominance at home is the play of Aldridge, who has averaged 23.3 points on 53 percent shooting at home, as opposed to 19 points on 49.4 percent on the road. Aldridge already helped San Antonio secure a 12-point home victory against Golden State once this season on the back of a 24-point, 18-rebound performance. So who wins Spurs vs. Warriors? And which side of the spread can you bank on in well over 50 percent of simulations? Visit SportsLine now to find out which side of the Spurs vs. Warriors spread you need to jump on, all from the model that has crushed its NBA picks, and find out.